of books, becoming America;s go-to home restoration expert. the Continental United States and is 18+ years of age will win. The Bob Vila Signature Series Workman’s Tool Bag is made to last with canvas and leather. The bag has plenty of pockets for all your on-the-go tools, both inside and out! 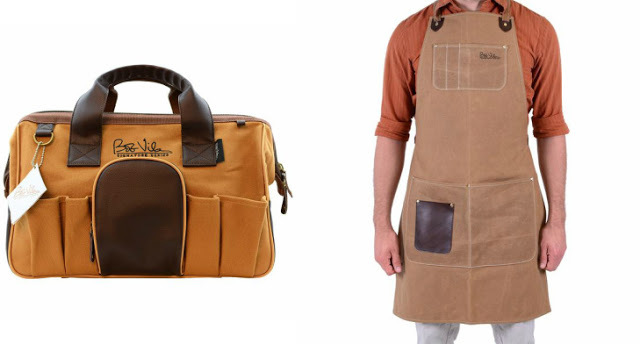 The Bob Vila Signature Series Workman’s Apron is a durable and comfortable work apron. carrying heavy objects in the pockets. one small chest pocket, two large waist pockets and a small leather waist pocket. Whether you’re an experienced handyman or just enjoy cooking on the grill, this is a great apron that will help protect your skin and keep your clothes clean, while still providing plenty of storage for all your tools and equipment!